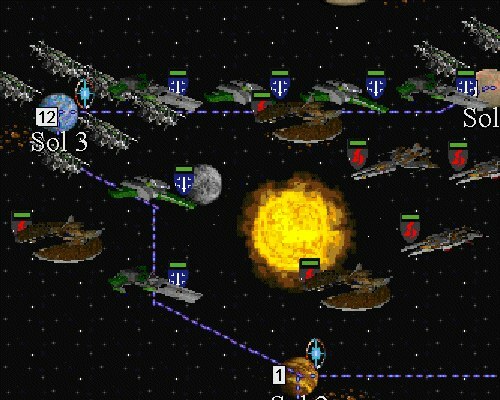 This scenario is a contribution to the Wing Commander saga. In future, the Human race is locked in the long-lasting war with cat-like creatures, who call themselves the Kilrathi. They are very agressive and are going to enslave the entire Galaxy. Depending on the side you play, your goal is either to save the future of Human race from the cruel furbags, or show the hairless apes their real place - beneath your foot. Another option is to play the scenario with a friend in a hot-seat game. 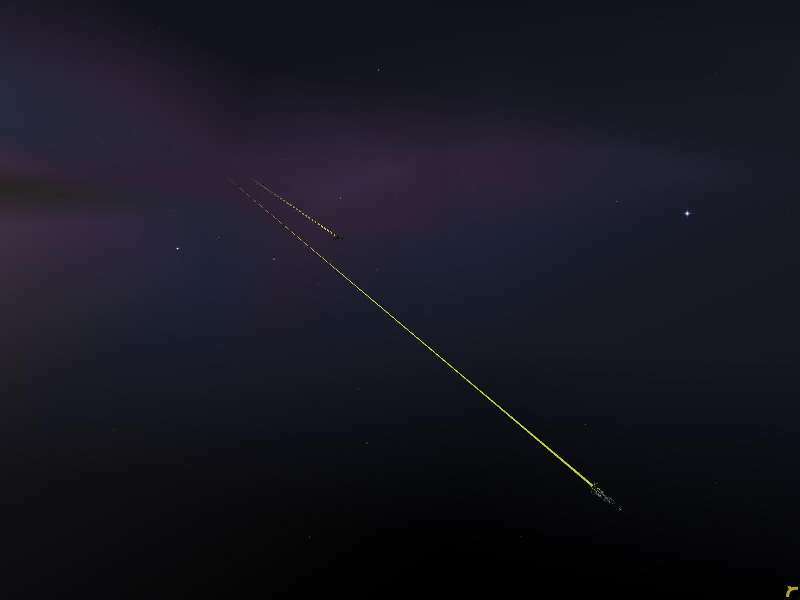 You need to have your Master of Orion 2 patched to version 1.31 to play this scenario. You can download The Kilrathi War here. They also have many other downloads including tools, editors and over 30 other scenarios (most notably one based on Babylon 5). HTL continues with part twelve of the Tiger Hunt series, "The Thin Blue Line." 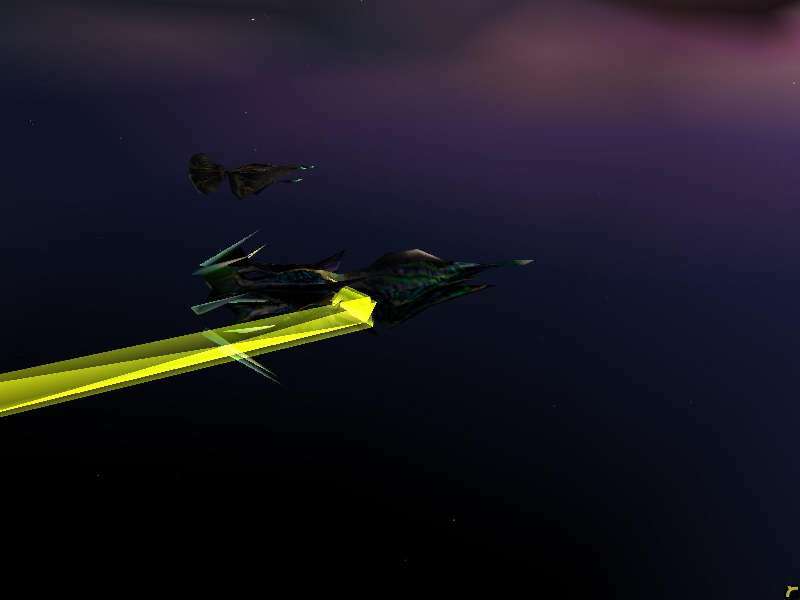 As Phalanx's group smashes the second enemy force, the rest of the Border Worlds fighters are still trying to hold back the force threatening their carriers. They're now being forced back closer and closer to their ships. This chapter is written by yours truly, so please send any and all comments to me. PC Gamer's 100th Anniversary issue includes a list of the highest rated games in their history. 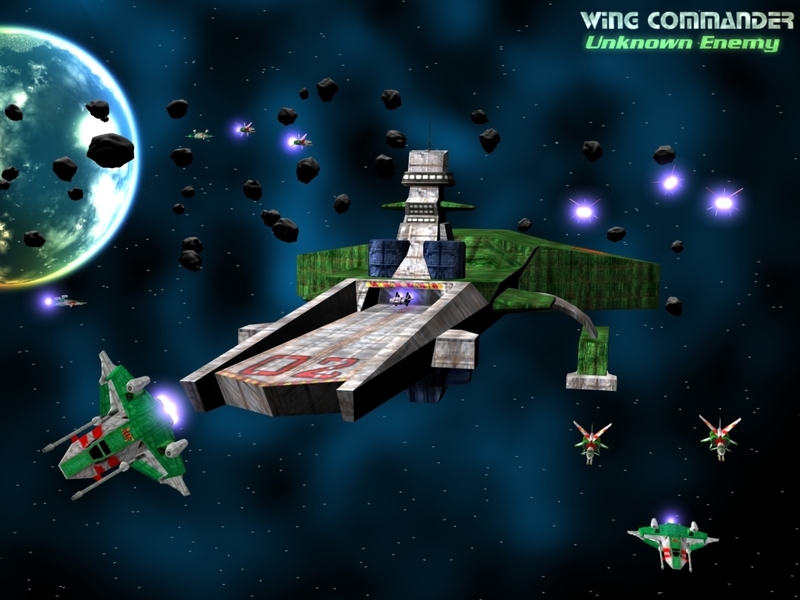 Wing Commander 3 ties for third place. The issue contains a few other bits on Wing Commander, including how Wing Commander 3 was part of the CD-Rom revolution. Thanks to TC and Chris Gerrish. High Score! The Illustrated History of Electronic Games is a new book detailing more than 30 years of computer game history. Since WC has been so influential, it gets it's own two page spread! Also of note is that the Origin Museum's Joe Garrity is credited in the book, and that myself and LOAF took the screenshots for that two page WC spread. Matt Kruer of the Wasteland Incident is looking for some help with his Secret Ops mod. They're currently gathering all the ships they need for their project. Drop them a line if you think you can help. They've also got a variety of other job openings. 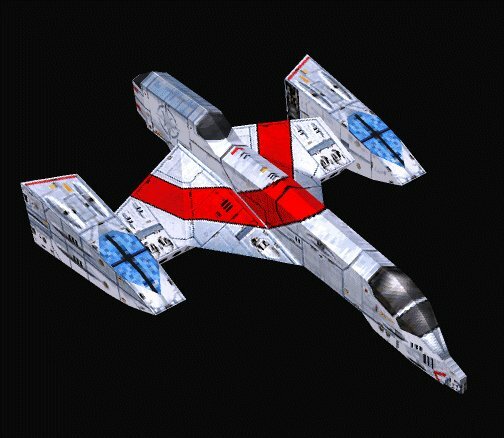 ... to the Wing Commander Combat Information Center's Fourth Birthday! Head over to #WingNut on Saturday, August 10th at 7:00 PM EST for the usual array of prizes, trivia, speeches and CIC stuff! 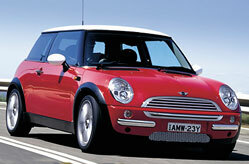 We'll have more specifics as the time draws near... it'll be more fun than the New Mini (Pictured: The New Mini)! Currently watching: Fleet Action, Vega Strike, Unknown Enemy, Invasion, Standoff and Wing Commander Saga. 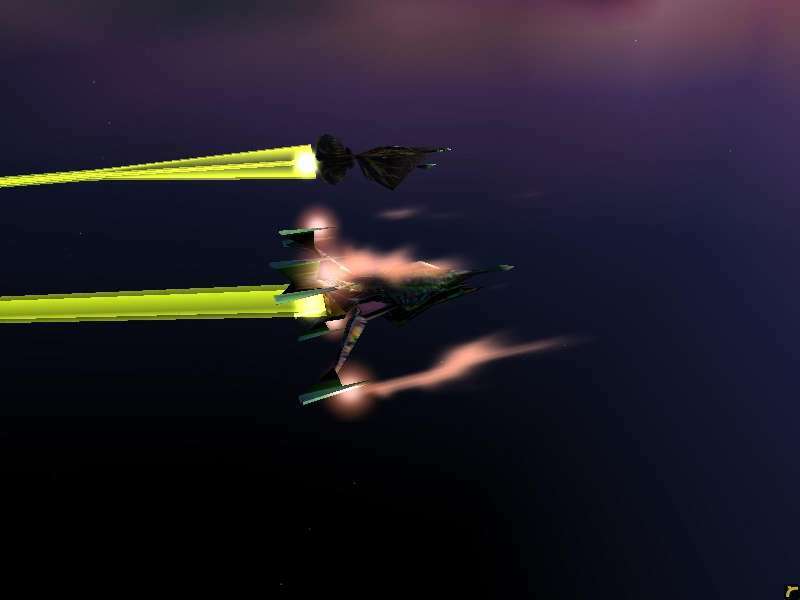 DarthVeda has constructed an impressive Wing Commander mod that seems to have slipped by everyone's radar: a Wing Commander scenario set for Civilization 2 Multiplayer. Learn more and download a copy at his site. 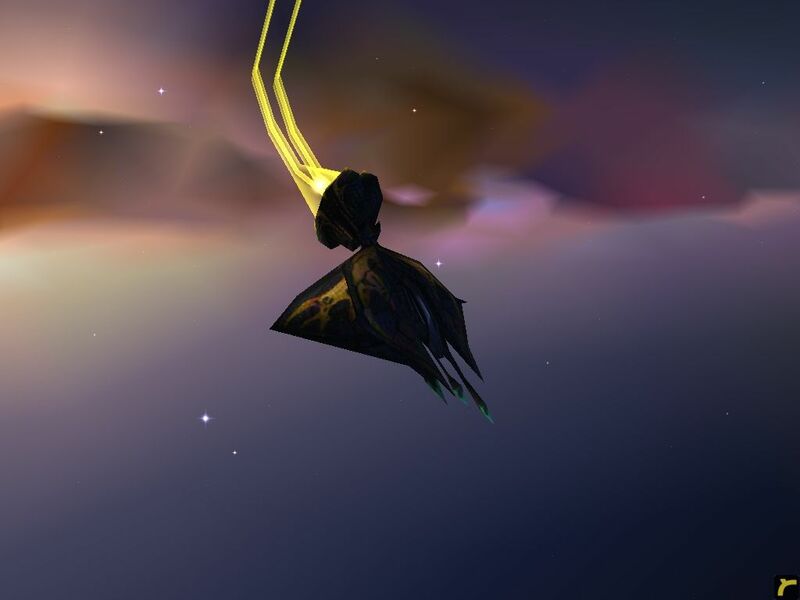 Years ago, upon learning that people could make 3D ship models, the first words out of my mouth were "Neat, can you make a Hakaga?" And in the almost-decade since no one has... until now! 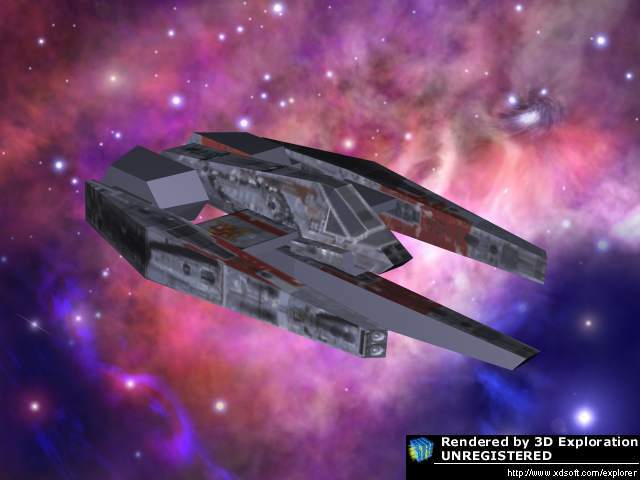 Eder has created a truly stunning rendition of Fleet Action's cover ship for his Wing Commander: Standoff project... I can't wait to see it textured! 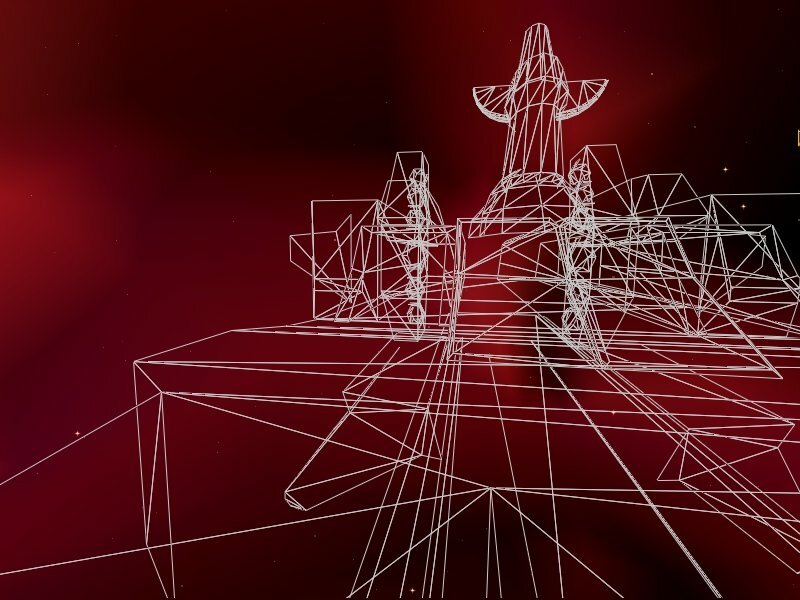 cyberwarriormm is looking for help naming a new Wing Commander mod for Wing Commander 3/4-era Homeworld that he claims is "almost complete". Head over to this thread to help him out. "Fleet Action Plus One", maybe? 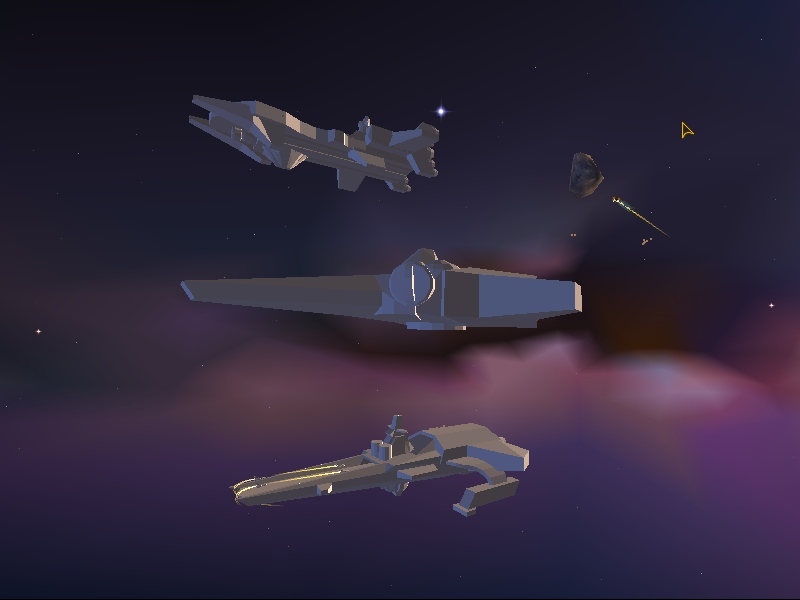 Speaking of Homeworld mods, there's a set of Fleet Action screenshots from a while back that we haven't yet posted... here's to catching up on Fan Project news! Here's an Exeter, a Confederation, a Bengal, a Banshee, an Excalibur, a Devil Ray... and a whole mess of Squid! 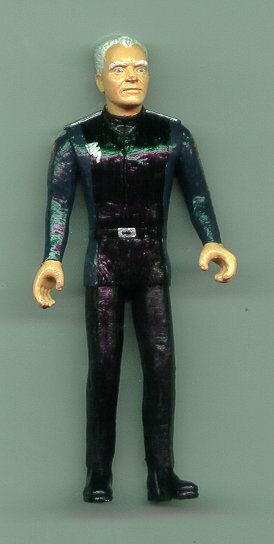 I started with the Star Trek Soran figure, used a dremmel to buff out all the ridges on his clothes, made the bottom of his jacket with some modeling putty, the shoulder epaulets are some plasticard, and then painted him up. The gun is one of the WC ones, but repainted. Unfortunately, the shine from the spray finish makes it look kind of shiny when I scan it, but you get the idea of what he looks like. Kinnear sends us this Wing Commander 2 font. It's the one you see when you enter your name and callsign. The dialogue font is the same, only smaller. Kinnear adds that because it is a "bitmap font," it only works up to a certain size. Sizes 15 and 18 should be perfect. Oops. Apparently Raptor got the URL to last week's Holding The Line chapter wrong, so here's the correction. I'm sure that some of you must have felt a sense of deja vu when you found yourselves re-reading chapter 133 (The Tiger Hunt, Part 9) in the last update instead of the promised chapter 134. The reason for that is that I sent the CIC the wrong URL. Because of that, I'm releasing both chapters 134 (The Tiger Hunt, Part 10) and chapter 135 (The Tiger Hunt, Part 11) this time around. Sorry about the mix up. HTL continues with part ten of the Tiger Hunt series, "The Art of War." As you saw in the last chapter, the Border Worlders had been ripping chunks out of the attacking Nephilim force, but then learned of a second force coming after them. 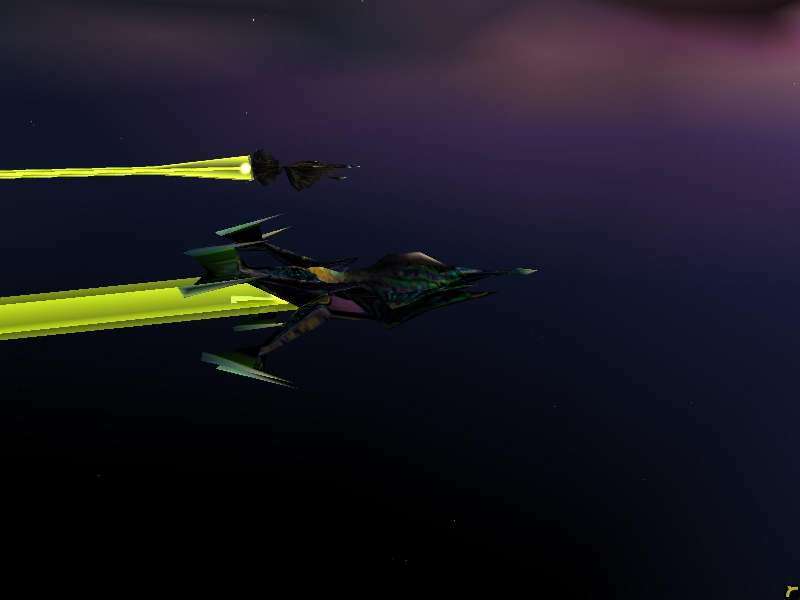 They had to split their fighters, with the bulk of the Border Worlds pilots sent to destroy the second Nephilim force, while the smaller Border Worlds group kept delaying the first attack group. This chapter looks at the pilots fighting the delaying action, and is written by yours truly. At the same time, part 11 of the Tiger Hunt series, "Classics Never Die" looks at the strike force of Border Worlds fighters and bombers that were sent to crush the newly arrived Nephilim group. While much more powerful than the force that is fighting the delaying action, the strike force will need to achieve complete surprise if it is to have any hope of success. This chapter is written by Yu Fei "Phalanx" Leung. Please send any and all comments to him at phalanx@cats.ucsc.edu. Le-hah has received some information about the Fatman's Wing Commander I music CD. He's currently a little busy with other projects, but it looks like the CD is nearing completion! Currently, where it stands is that I've got the master CD burned, and I have to compile all of the text and titles so that we can design the jackets and print 'em up all pretty. He hopes to have some details for us soon. The Fatman is a big name in the game music industry. They have a few music demos up here. Unknown Enemy has now reached the point where it has commenced a closed beta test including the first six missions of the game. In the past few months, many tasks have been accomplished in order to make this possible. The simulator missions have also been completed, and all the missions up to and including 6 have been cleared of all known bugs. A number of pieces of FMV by Hadrian and Rylex have been completed. All this means that a final release is getting closer (though it is still difficult to set a date). We will soon be getting feedback on the game as it stands now, and will make any neccessary additions and alterations as quickly and efficently as possible. Apart from that, we still have a few more missions and in-game cutscenes to complete, as well as getting the remaining FMV pieces from Hadrian & Rylex. We have also recently opened up a UE forum. Furthermore, we have made a second wallpaper available. 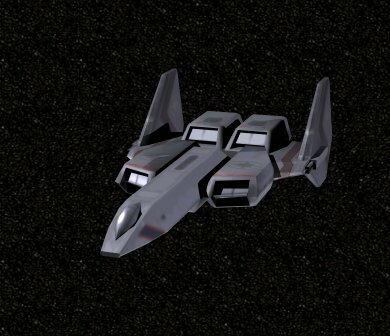 Finally, having obtained a new model of the Dauntless, we have released the old model. HoTT treats us to another of his comic-edits, this time in celebration of Prophecy GBA. HoTT also maintains a website where he displays all of his (often twisted) work. The latest instalment in the Holding The Line Fanfic is online. Here's Raptor with his introduction. Hey all, Raptor here. HTL continues with part ten of the Tiger Hunt series, "The Art of War." As you saw in the last chapter, the Border Worlders had been ripping chunks out of the attacking Nephilim force, but then learned of a second force coming after them. They had to split their fighters, with the bulk of the Border Worlds pilots sent to destroy the second Nephilim force, while the smaller Border Worlds group kept delaying the first attack group. This chapter looks at the pilots fighting the delaying action, and is written by yours truly. CIC staff member Barrie Almond turns 20 today. Among his most notable contributions to the site is his work on the Ships Database and Game Guides. You can wish him a happy birthday by sending him an e-mail. It's not quite Confederation Day, but today Americans across the world celebrate 226 years of goodness. There'll be some nice fireworks tonight. Your favorite bulletin board is not just for discussing Wing Commander anymore! Our brand sparkly new Off-topic Zone lets you share anything you want with your fellow Wing Commander fans. Talk about your favorite movie or outdoor activity, what you did at band camp, or just complain about how miserable your life is! We're even letting you decide which users can co-moderate the place. Head on over if you're already a member, or sign up today! 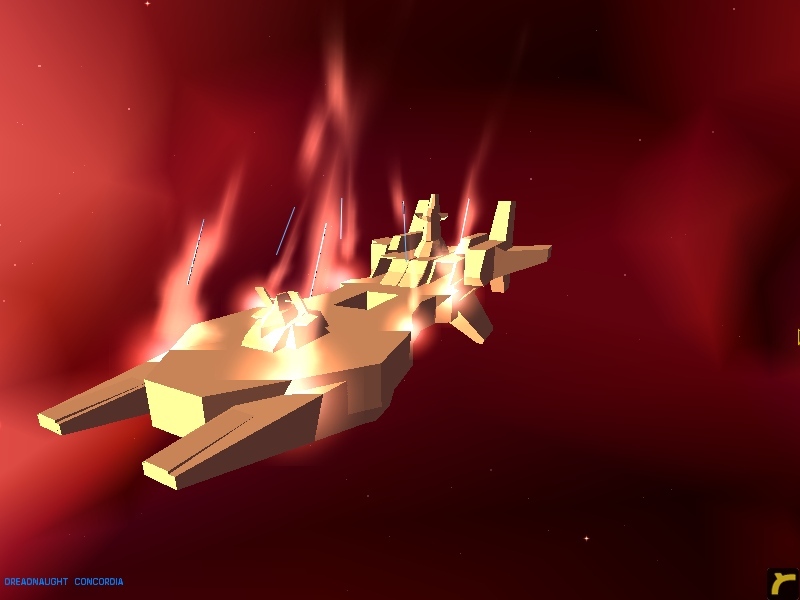 Marko reports that IGN is running a 'best space sim' poll. 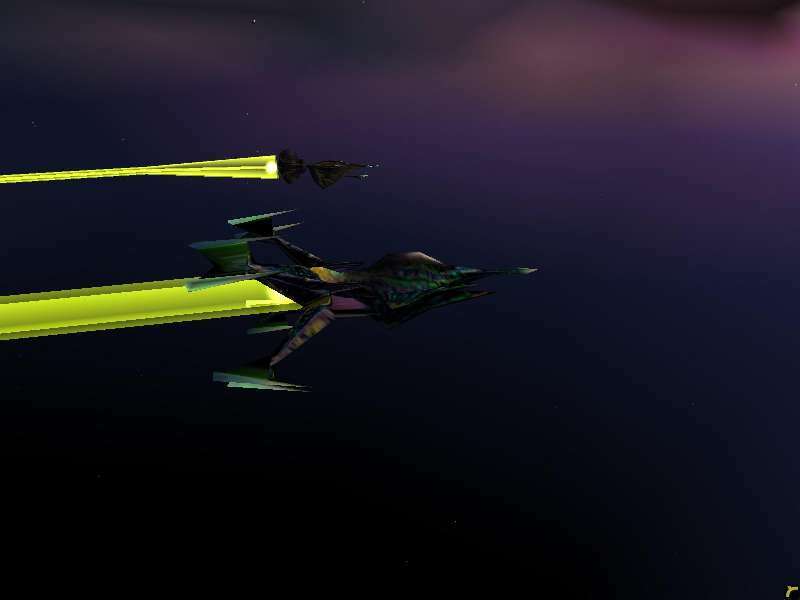 Wing Commander and Privateer are both options... and they desperately need your help! Head over to the PC.IGN front page and cast your ballot (lower right hand side of the screen).